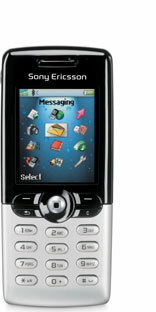 In March 2004, I bought me a Sony Ericsson T610 mobile phone. It was the most fascinating GSM acquisition I have made up to date. One of the first things I tried to do, was to see how it displays my site, and the impression was mixed. I have not been able to get the specifications from SonyEricsson, even when enlisting to the Sony Ericsson Developer World, so here are my own discoveries. I only deal with deviations from the standard expectations of a screen based web browser like Mozilla, Internet Explorer, and Safari. On November 2, 2004, I had a talk with my phone retailer, and it it appears that all Sony Ericsson phones from the T600 series and ahead use the same browser, and same version. I was not able to check it out, but if this is true, then the below instructions apply for other models as well.